At the supermarket and fresh fish shop, by law, all seafood has to be labelled with the country it is from. But when you go out to dine anywhere in Australia except for the Northern Territory, there is currently no legal obligation to label where the seafood you are about to order and eat, comes from. This happens because there is an exemption regarding country of origin labelling on cooked or pre-prepared seafood in the Australia New Zealand Food Standards Code. 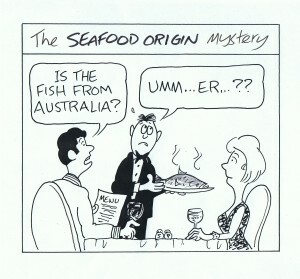 There is no logical argument as to why for almost a decade consumers have had the right to know the country of origin when they shop for seafood at the supermarket, but not when they dine out or get take-away. Be confident that if they are paying for Australian seafood, they are eating Australian seafood. WAFIC is one of the founding members of the National Seafood Industry Alliance. The NSIA is asking all Federal Members of Parliament to support the one and only recommendation of the Commonwealth Government’s Senate, Rural and Regional Affairs and Transport References Committee Report. 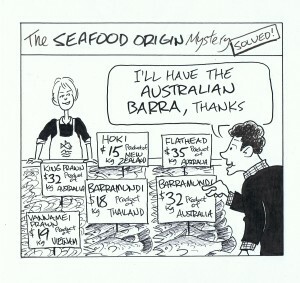 3.63 The committee recommends that the exemption regarding country of origin labelling under Standard 1.2.11 of the Australia New Zealand Food Standards Code for cooked or pre-prepared seafood sold by the food services sector be removed, subject to a transition period of no more than 12 months.